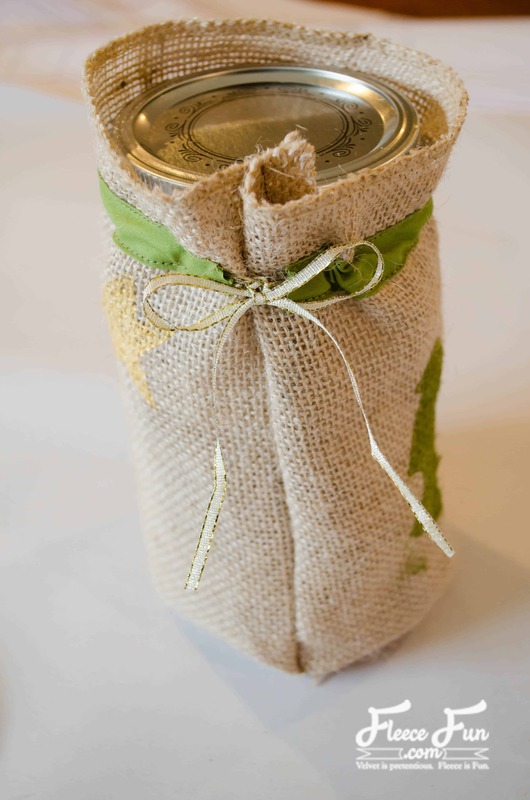 Fill this jar with any number of treats, or mixes and cover it with this wonderful Holiday themed burlap cover for an extra Handmade touch. 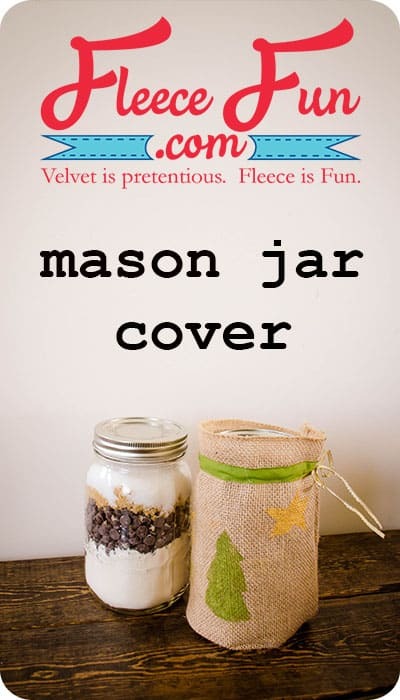 If you’re looking for a killer hot cocoa recipe to fill the jar with you can get that here. 1. 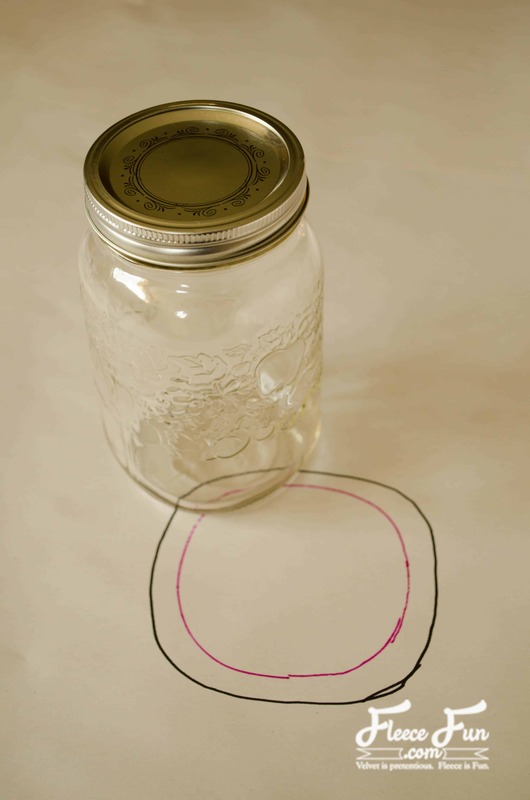 Trace the bottom of your mason jar. 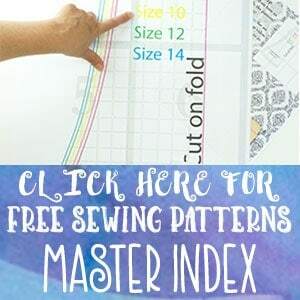 Add 1/2″ to the outside for seam allowance. Cut out of burlap. 2. 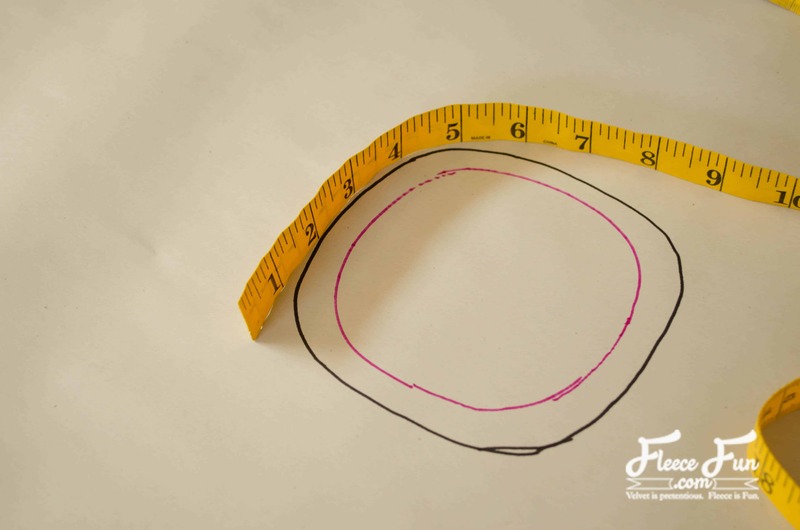 Use a flexible tape measure to measure the INSIDE line. Add 1″. This will be the width of the rectangle. Measure the height of the jar. Add 1/2″. This is the height of your rectangle. For my Bernadin wide mouth jar, my rectangle is 14.5″ x 7″. 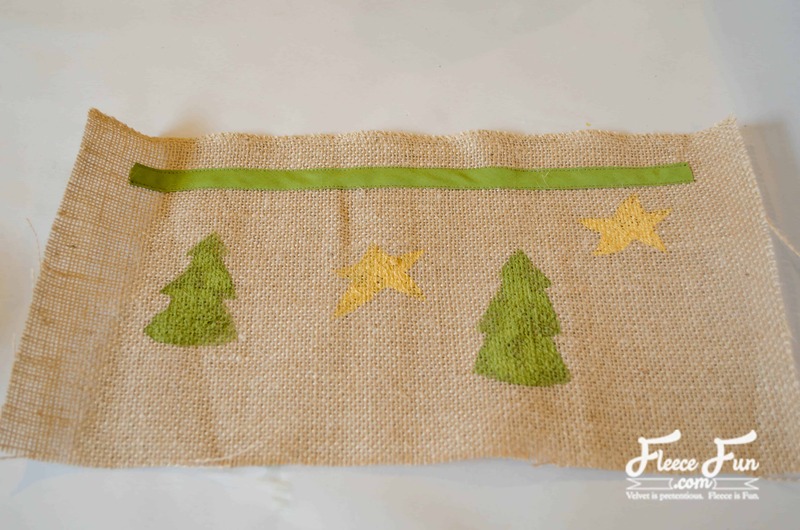 Cut a rectangle of this size from the burlap. 3. 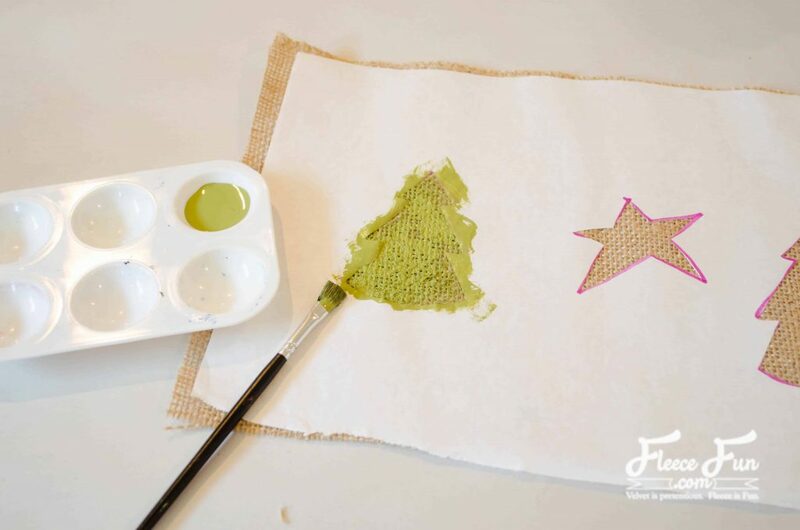 Cut a piece of freezer paper the same size as the burlap rectangle. 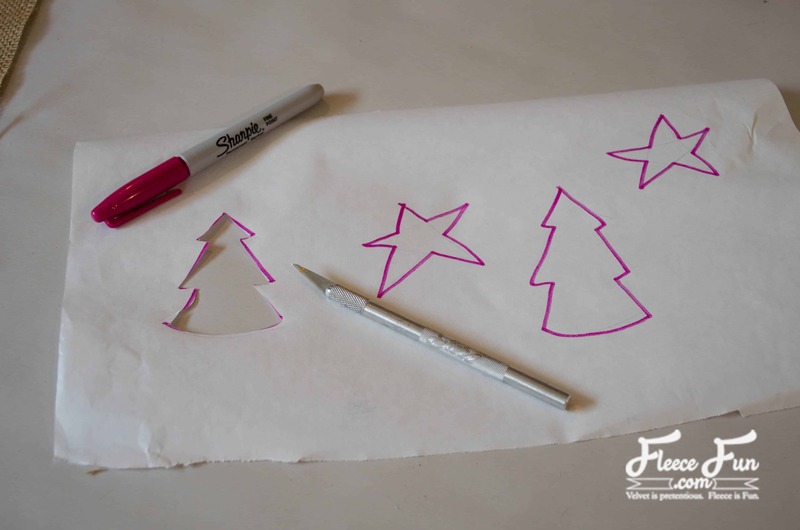 Draw holiday themed motifs (I did trees and stars) and cut them out with a craft knife. Remember, you a making a stencil, so cut out the part you want painted. 4. Iron the shiny side of the freezer paper to the burlap. Paint. Let dry and remove freezer paper. 5. 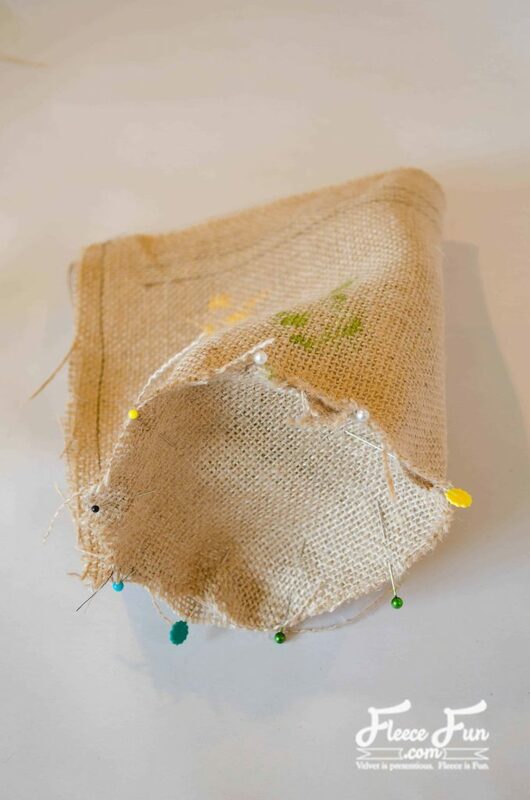 Cut a piece of single fold bias tape 2″ shorter than the rectangle. Sew the two long ends close to the folded edge. 6. 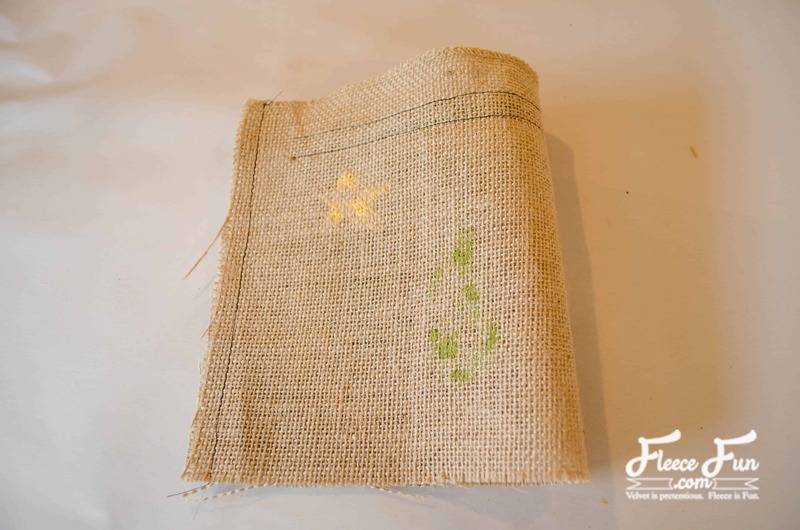 With right sides together, sew the two short edges of the burlap rectangle together. 7. Pin and stitch the base to the bottom edge of the rectangle. 8. Use a safety pin to insert the gold ribbon and tie a bow. 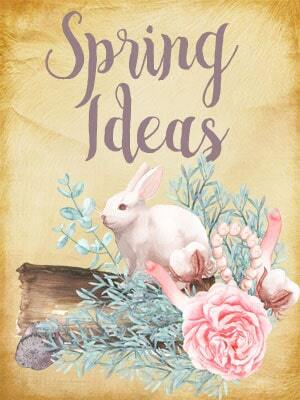 Fill the jar up with your favourite treat and you have a perfect gift!